Do you travel long distances on airplanes? I do, and I just love those small, curved pillows that the airlines give you – they fit behind and around your head, supporting it in a ‘cradle’ of sorts. Well, that is what neck support pillows are all about – giving you the support that your head and neck needs while you sleep or nap. 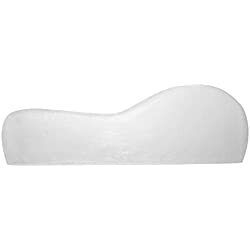 Neck support pillows are one of a class of pillows that are called therapeutic or orthopedic pillows – they are designed to provide one or more medical benefits. In the case of neck support pillows, they are designed to provide not only the proper support, but also the proper alignment of your head and spinal vertebrae. And getting this support is vital to maintaining proper health. 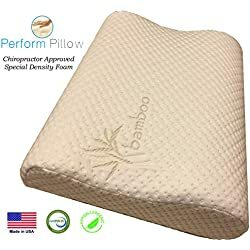 You want a neck support pillow that will allow for the proper weight (pressure) distribution of the vertebrae, as well as support for tired, aching, tight muscles. Neck, spine and head ailments are very common today. If you suffer from headaches, pain in the spine, pain in the shoulders, then neck support pillows could be a good therapeutic solution for you. In addition, people suffering from diseases of the joints and bones, such as arthritis, herniated disks, whiplash, disk misalignment may find that lying on traditional pillows to be very painful. Neck support pillows can help relieve some of that pain and help you to get a good nights sleep. People who suffer from sleep apnea may also find relief in using a neck support pillow. Neck support pillows may, in certain instances, be very helpful for those who suffer from whiplash. The pain of whiplash can be unbearable, often extending up and down the back of the neck, shoulders and head. A whiplash sufferer may find it impossible to sleep on a regular pillow, as these pillows provide no real support. Switching from regular pillows to neck support pillows can often bring immense relief. 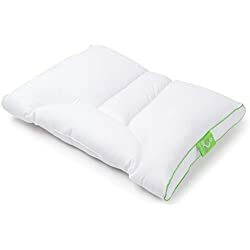 When it comes to selecting one of these pillows, you will want to select one or more neck support pillows that are the correct size and height for your head, neck and shoulder area. People have vastly different body types and sizes, and a neck support pillow that fits another person may not fit you properly. If possible, try lying on it in the store before you buy it. If you are sensitive to plastics and other synthetic materials, you should choose a neck support pillow that is hypo-allergenic. As well, you want to make sure that the pillow (or at least the outer pillow case) can be washed, as overtime it can pick up body odors, particularly from the sick and injured. I would also greatly recommend that you buy several sets of neck support pillows. One should be kept in your bedroom, one near your favorite chair or sofa (particularly if you like to take naps there), and even one in the car, especially if you are not the driver (although some drivers will use them). By purchasing several neck support pillows you will be assured of always having one nearby, wherever you are sitting.